Although Krabi Town isn’t as much of a tourist destination as nearby Ao Nang or Railay, this small provincial capital is home to a range of sites and attractions that will easily fill a one or two day itinerary. Krabi Town is the main commercial and transport hub for Krabi Province, and it’s likely that you’ll pass through here on the way to other areas in Krabi if you’re travelling by air. A short break in Krabi Town offers a more authentically Thai experience than the nearby beaches. 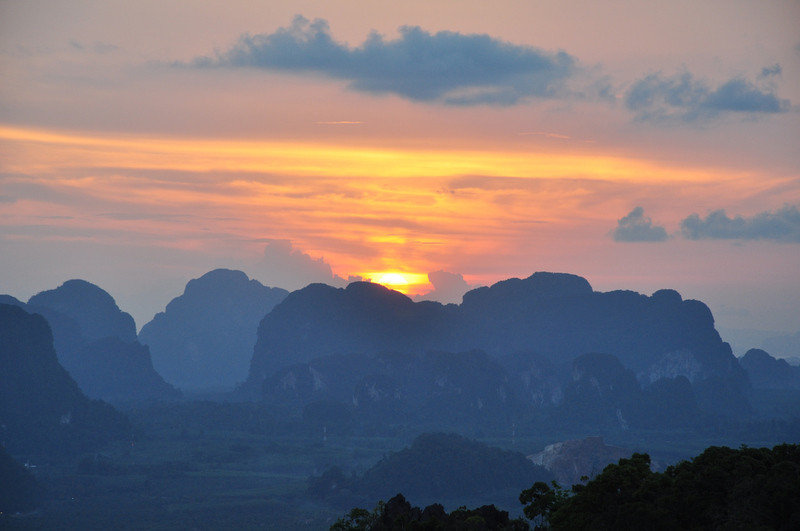 From night markets to hilltop temples, Krabi Town and its surroundings offer a great range of things to see and do. Located on a hill overlooking Krabi Town, Wat Kaew is a beautifully decorated Thai Buddhist temple. This beautiful white temple offers great views of Krabi Town and contains a series of Buddha images. Known as Tiger Cave Temple, Wat Tham Seua is a hilltop Buddhist temple located north of Krabi Town. Reached by a long flight of stairs, the temple contains a giant Buddha statue and offers incredible views of Krabi Province. The official symbol of Krabi Province, Khao Kanab Nam is a rock formation made up of two large limestone mountains jutting out of the ground at unusual angles on opposite banks of the Krabi River. 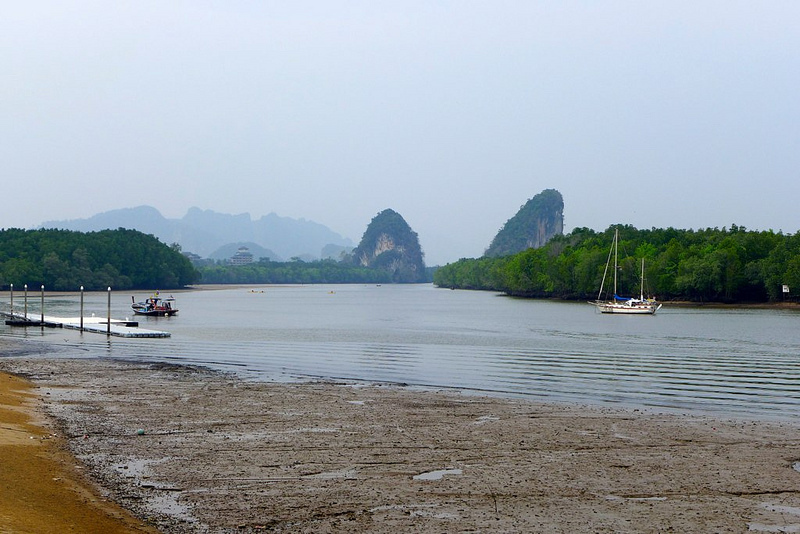 Khao Kanab Nam is accessible by longtail boat from Krabi Town. As the commercial hub of Krabi Province, Krabi Town is home to the only large supermarkets in the area. 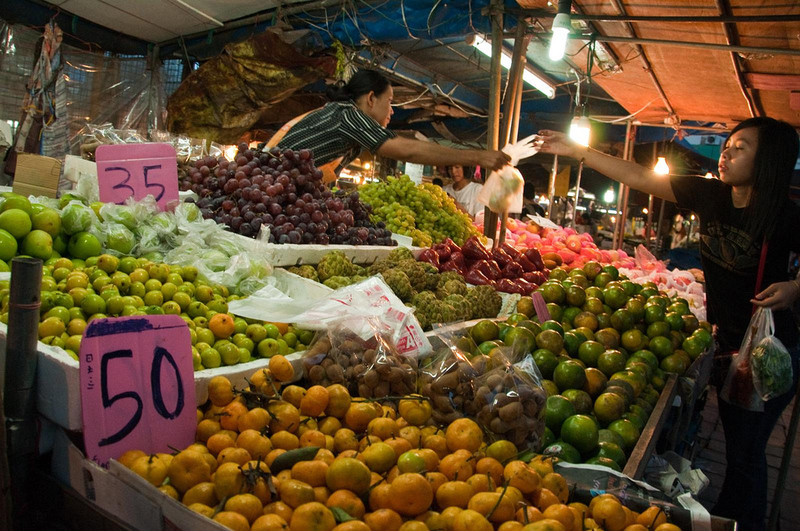 If you’re staying in Ao Nang, Railay or elsewhere and need to shop for groceries, Krabi Town’s Tesco Lotus and Big C supermarkets are the best places to go. Use the search box below to find out departure times and prices on your selected travel dates to Krabi Town. 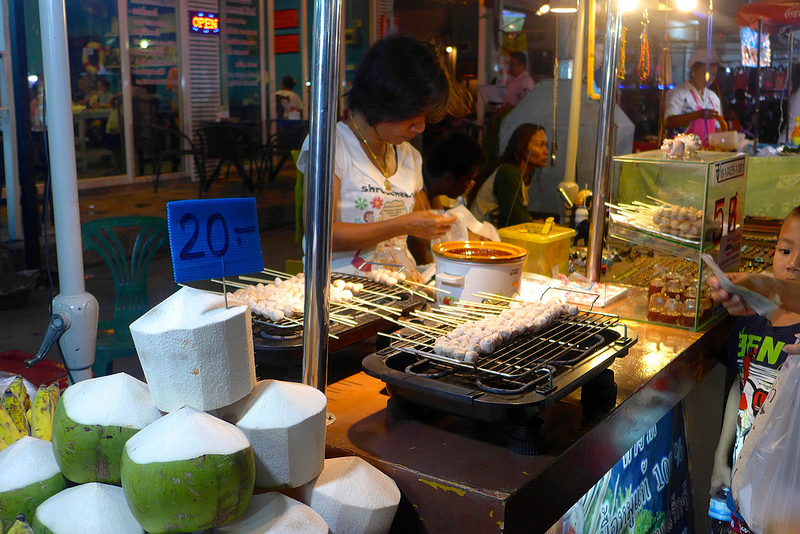 Head to the Manutboraan intersection on Maharat Road to discover the Krabi Weekend Night Market. On Friday, Saturday and Sunday evenings, this area transforms into a walking street market, complete with over 70 food vendors and stalls selling clothes, accessories and more. Although Krabi’s tropical climate doesn’t make it the ideal destination for soaking inside a hot spring, the Khlong Thom Hot Springs are still worth a visit. Known as Namtok Ron in Thai, the hot springs include several small waterfalls that make them a very scenic place to relax. Located close to the Khlong Thom Hot Springs, the Emerald Pool (known as Sa Morakot in Thai) is a brightly coloured natural spring. While no swimming is allowed in the stunning blue pool, there is a larger natural spring that visitors can swim inside. 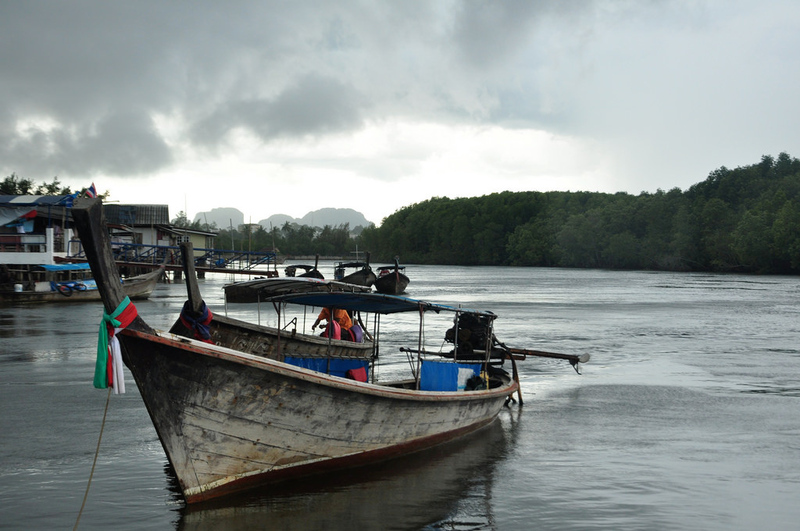 Krabi Town is the gateway to Krabi Province and a great stopover on the way to Ao Nang and other beaches and islands. Minivan transportation to Ao Nang is available in Krabi Town, as well as boat transportation to Koh Lanta, Koh Phi Phi and other nearby islands. With just 34 rooms, Dee Andaman Hotel Pool Bar is a boutique four-star hotel that’s one of the best places to relax in Krabi Town. With a large swimming pool and poolside bar, this is an excellent choice for quick stopovers in Krabi Town on the way to the beaches. Rooms at Krabi Guest House offers a selection of comfortable three-star rooms right next to the Krabi River. Although there’s no swimming pool, this hotel’s great river views and large patio make it a good place to relax and enjoy Krabi’s excellent weather. A three-star hotel located close to Krabi City Hall, Baan Andaman Bed & Breakfast Hotel has a great location close to many of Krabi Town’s sights. All of the spacious double rooms come with free Wi-Fi. A Little Villa offers cosy and comfortable private villas in a convenient location just outside of Krabi Town. Thanks to its quiet surroundings and free Wi-Fi, A Little Villa is a convenient and relaxing choice for visitors to Krabi Town. A beautifully decorated 2½ star hotel, U Residence offers a selection of spacious single and double rooms. All rooms include free Wi-Fi, while the Double and Deluxe rooms are furnished with stylish mid-century four poster beds. Krabi Orchid Hometel offers a range of tastefully furnished, clean and comfortable double and twin rooms for travellers. With a great lobby coffee shop and a location close to the centre of Krabi Town, this clean and comfortable budget hotel is a great choice. Charismatic decor and a beautiful garden setting make The Fong Krabi Resort one of Krabi Town’s best budget hotels. Since it’s a short drive from Krabi Town, The Fong is perfect for visitors to Krabi Town with their own transportation. Located in the centre of Krabi Town, May and Mark Restaurant serves a diverse selection of Thai dishes along with good coffee and excellent Western breakfasts. A short walk from the Krabi River, Viva Restaurant serves excellent wood fired Italian pizzas and a selection of homemade pasta dishes. With a quiet location away from the hustle and bustle of Krabi Town, Tamarind Restaurant’s menu of classic Thai dishes makes it a great choice for relaxing dinners. Krabi Sinocha Bakery offers an excellent range of baked goods, from pastries and bread to a selection of cakes and other treats. Also serves breakfast and coffee. Located next to the Krabi River, Chalita Café & Restaurant serves a range of well known Thai dishes and fresh seafood, as well as a small Western menu. A friendly local bar and restaurant, Mr.KRAB-i serves tasty Thai food alongside a selection of pub dishes, drinks and desserts. Krabi Town is a short distance from Krabi International Airport and is easy to travel to from Bangkok by air. Flights are available several times daily from Bangkok and Chiang Mai, as well as from international destinations such as Kunming, Kuala Lumpur and Shanghai. Check Skyscanner to compare airlines for the best prices and flight times to Krabi. 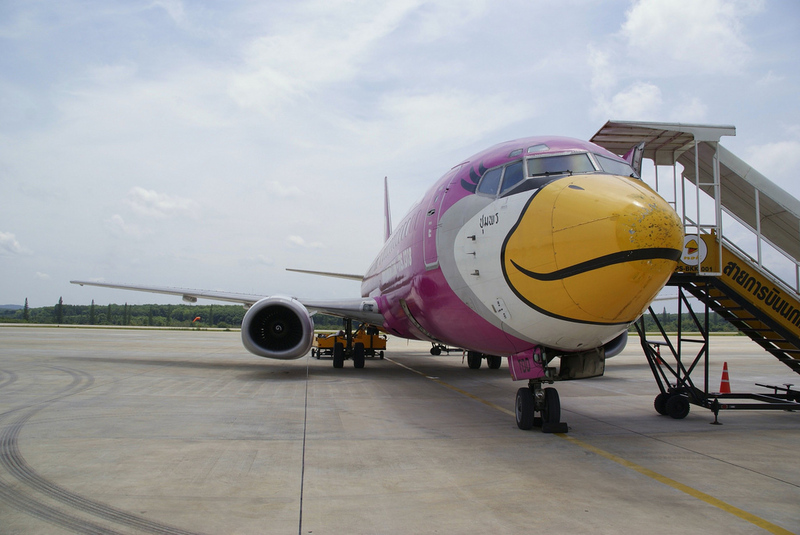 Krabi International Airport is approximately seven kilometres from Krabi Town. Private taxis and minivans are available from the airport to the city. 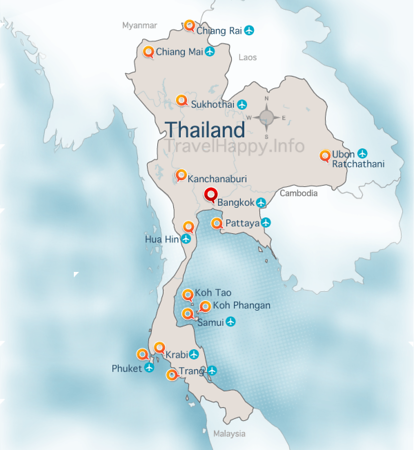 Transportation is also available from the airport to destinations such as Ao Nang and Railay Beach. Buses leave from the Southern Bus Terminal in Bangkok to Krabi on a frequent basis. The VIP bus service leaves daily at 7:20 am. First class public buses leave from Bangkok at 7 pm and take around 12 hours to reach Krabi. Second class buses leave Bangkok four times per day at 7:30 am, 7 pm, 7:30 pm and 8 pm respectively. Be aware that some private bus services from Bangkok to Krabi may play loud karaoke music throughout the night, resulting in a sleepless journey. Buses from Phuket, Surat Thani, Hat Yai and other major centres and tourist destinations in Southern Thailand also travel to Krabi Town.